The warm winter is expected to cause a surge of irritating bugs this summer. In much the same way, a glut of constitutional amendment proposals should cause an extended surge of irritating petition gatherers at your door. Last Thursday, the Ohio Ballot Board approved two more constitutional amendment proposals, bringing to four the total number of proposals currently being pushed statewide. The two new proposals join efforts for “personhood” and right-to-work amendments. The marriage-equality campaign, known as “Freedom to Marry Ohio,” has already mustered 1,500 volunteers statewide, with plans to have 10,000 onboard by summer. And they’ll be around awhile: Unlike the other campaigns, they’re eying the 2013 elections, not 2012. Also influencing the move to 2013: Presidential elections like this year’s tend to draw Ohio’s plentiful conservative woodland crackers out to polling booths — the kind of folks who tend not to cotton to William and Jerome’s nuptial plans. By holding off till 2013, plentiful urban Democratic voters are more likely to steer the vote in favor of gay marriage. 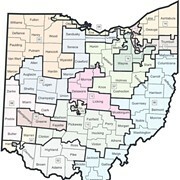 The other measure approved last week, dubbed “Voters First Ohio,” would replace the current system of having lawmakers draw their own legislative and congressional district lines in favor of a nonpartisan commission that would be charged with the task based on input from voters and communities. There’s more urgency here because, if passed in November, the commission would convene immediately and redraw district lines for 2014, relegating this year’s bizarre redistricting to: 1) an historical anomaly, and 2) a blip of very bad luck for Dennis Kucinich.